China-based sportswear brand 361 Degrees has announced a new endorsement deal with two-time NBA All-Star Stephon Marbury. China-based sportswear brand 361 Degrees has announced a new endorsement deal with two-time NBA All-Star Stephon Marbury. Having previously played for the Minnesota Timberwolves, Phoenix Suns and New York Knicks, Marbury joined the Beijing Ducks in 2011 and led the team to their first ever CBA championship last season. 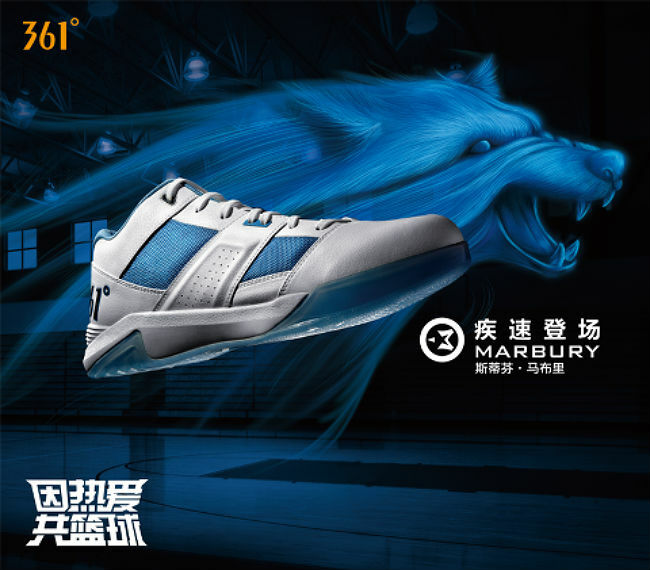 "We are excited that Marbury is joining the brand, said 361 President and Executive Director Ding Wuhao. "Marbury's addition will appeal to sports enthusiasts nationwide, and is an endorsement of our efforts in promoting sports development, and we are confident it will cement our positioning and image as a professional sportswear brand." 361 manufactures, distributes and retails footwear, apparel, accessories and equipment through 30 exclusive distributors who supervise about 3500 authorized dealers that operate more than 7800 outlets throughout China. Last summer, 361 inked a deal with All-Star power forward Kevin Love, who wore the brand's shoes during the All-Star Game and 2012 Olympics. It's not yet clear what this means for Stephon's own Starbury brand, but business has been scaled back significantly in recent years.